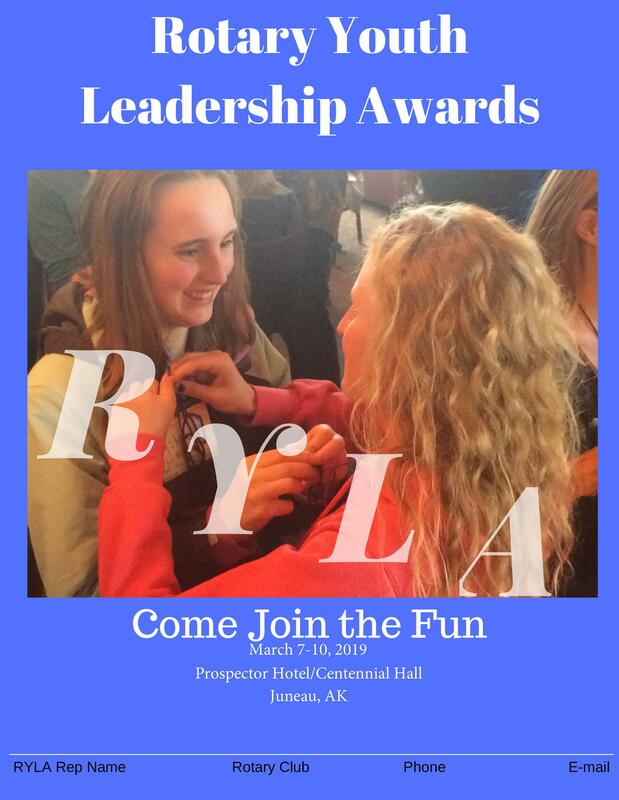 The Rotary Youth Leadership Awards will take place March 7-10 2019 in Juneau. This weekend event encourages and promotes outstanding young people interested in becoming better leaders. For more information or to apply, contact Sherie Viera at vaero@gci.net.